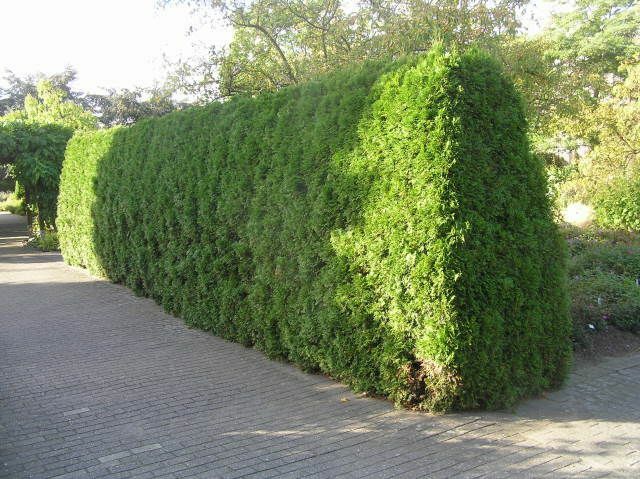 With spring arriving across the country – sooner in some places than others – planting time has arrived, and many people will be planting hedges and specimens of America’s most popular evergreen, Thuja Green Giant. 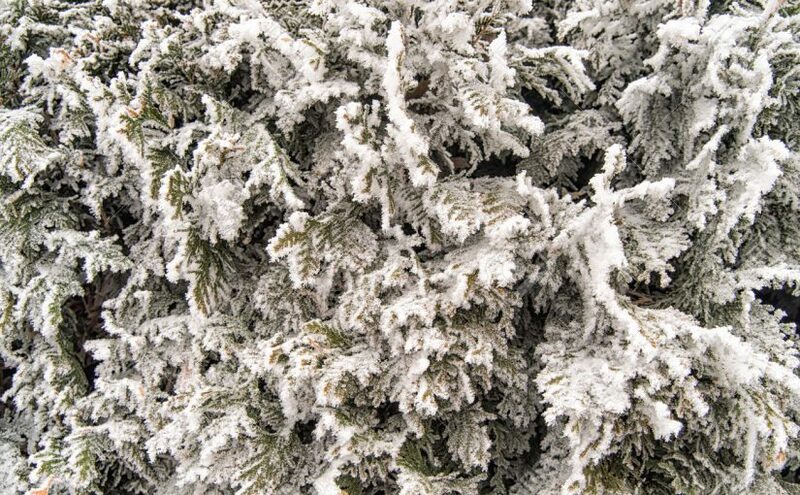 This fast-growing tree is the top choice for taller hedges and screening, but when faced with that shipment of plant, sitting in their pots, some new gardeners may not be too clear on the best way to plant them, so let’s consider that. After all, getting plants off to a good start is always the first secret of success, and equally, a bad start can set you up for poor results, and even failure. Although we don’t see it, the life of plants below the ground is at least at important to them as what goes on above ground. Scientists have laboriously excavated the root-systems of plants from grasses to big trees, and in every case the roots occupy a vastly bigger volume than the above-ground parts. Many times bigger. So it follows that we should give it just as much attention, since we want to see much faster growth than a tree is nature will achieve. Most young seedling trees sprouting in the wild die, and those that don’t usually struggle for years to gain a foothold, but in gardens we want rapid growth and establishment from Day One. 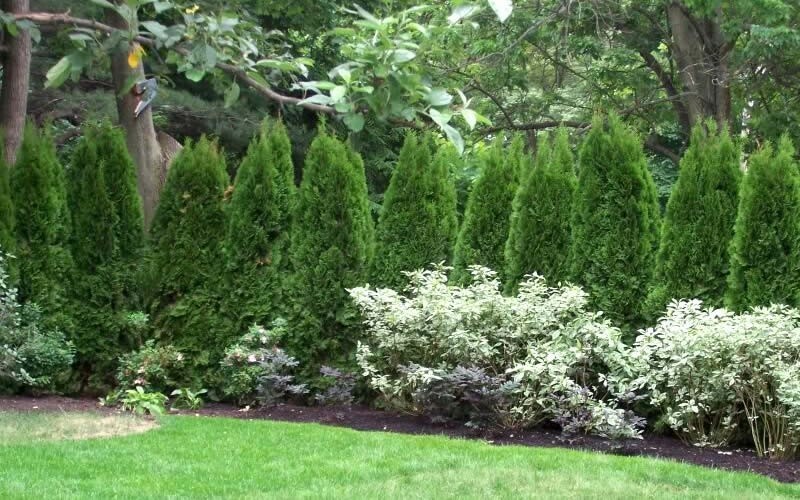 To do it properly you need two things when preparing the soil for your Thuja Green Giant plants – organic material and a source of phosphates. The exact type you use is not so important, but adding it is. No matter if your soil is sandy, clay, or something in between, the magic of organic material always improves any soil. Sandy soils retain more moisture and nutrients, and clay soils (which usually have lots of nutrients already) develop better drainage and more vital air penetration into the soil. You can use garden compost if you have it, rotted leaves, old potting soil from planters, rotted farm or stable manure, or even peat moss (which despite its popularity is not such a good choice). 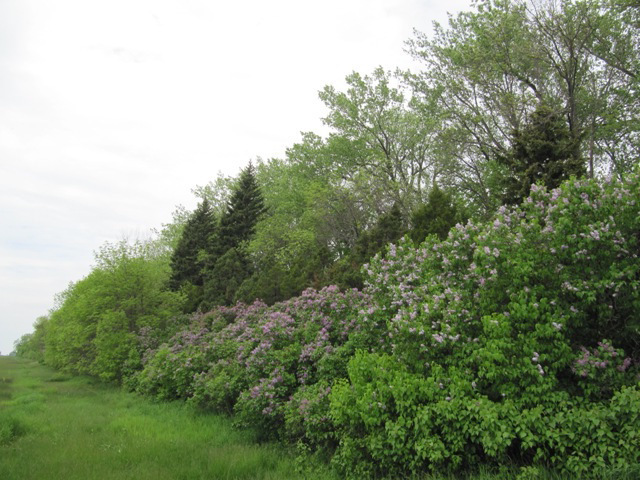 If you are planting a single tree, you need about a bucket full, and if it is a row for a hedge, you need a layer 2 or 3 inches deep, over an area 3 feet wide. Of the three major plant nutrients (nitrogen, phosphate, and potash) you only need to add phosphate when preparing the ground. Why? Because this nutrient doesn’t move around in the ground easily, so if you sprinkle it on top it will quite literally take years and years to work its way down to where the roots are. All other nutrients are quickly carried down into the soil by watering or by rain. There are several good sources of this, and most gardeners know bone meal. Expensive for a big job, its great for a couple of trees. Otherwise track down some superphosphate (or triple superphosphate, which is a bit stronger) and use that – it does the job at lower cost. 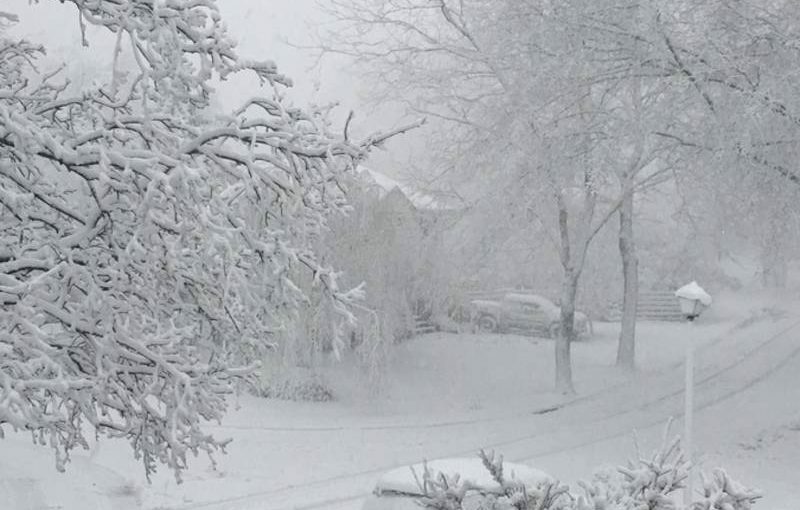 A heavy sprinkling of this – like a light snowfall – should go down before digging, and in poor soil as some more as you go too. You can’t hurt your plants with too much, and it stays in the ground for many years. Scatter the phosphates and then spread the organic material on the ground before digging or rototilling, which should then be done as deeply as you can go. For a row, prepare a strip at least 3 feet wide, or 5 feet wide if you are planting a double row. For an individual plant, dig an area at least 3 times the width of the pot, and again, go deep. Then level of the surface and leave it to settle for a few days before planting, if you can. If it was dry when you dug, setting up a sprinkler and giving the area a thorough watering is also a good thing to do. Now to get down to the real job. The night before you plant, give the trees in their containers a good watering, soaking the soil. Never plant a dry tree, because it can be hard to get the root-ball wet after planting is over. Doing it the night before will mean it is not soggy on the day, and easier to handle than a freshly-watered tree. You will have worked out the spacing for your plants, as we went into in detail in this previous blog, so set out your plants according to your plan. With hedges and screens, the best future look requires careful, even spacing, so put some time into adjusting this until you are satisfied. Use a stretched string to get the row straight. If you have prepared the planting spot well you will only need to dig holes a little wider than the pot – just enough to be able to easily plant. Dig the holes where you have placed each plant, to the same depth as the pot only. Leave the tree standing next to each hole. Some people find the next step surprising, and hesitate to do it, because they are fearful of damaging the plant. Don’t be. 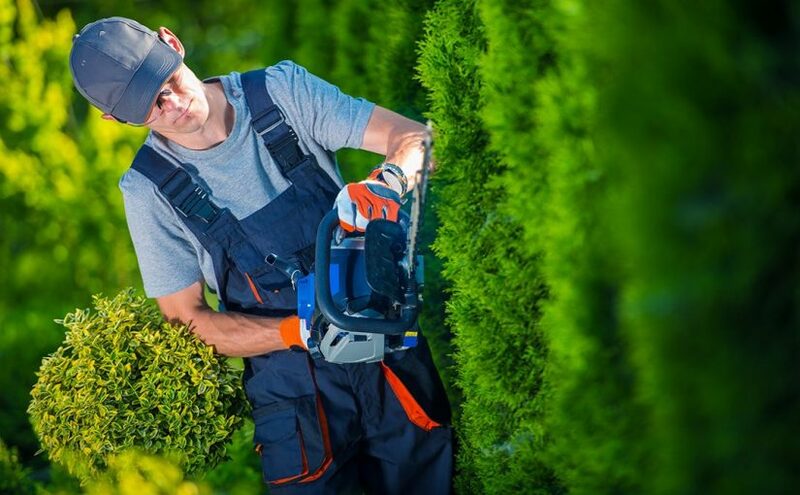 This is an important step in helping your trees become established quickly and preventing future problems with roots strangling the growing trunk of your trees – a problem called ‘girdling’. It is similar to what you may have seen with trees tied to tightly to a pole – the rope cuts into the bark, and it can kill the tree. Roots wrapped around inside the pot can do the same thing as they and the trunk grow larger. Preventing this is important, so don’t be afraid for the tree. Slide your Thuja Green Giant out of the pot. Take a sharp box-cutter and make 3 or 4 deep cuts from top to bottom around the root ball, going in about one inch deep. This will cut through the girdling roots. Now it is time to finish, and this is the easy bit. Sit the tree in the hole. 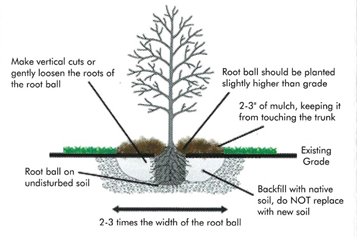 Use a short stick laid across the top of the hole to adjust the position so that the top of the soil in the pot is level with the soil surface. 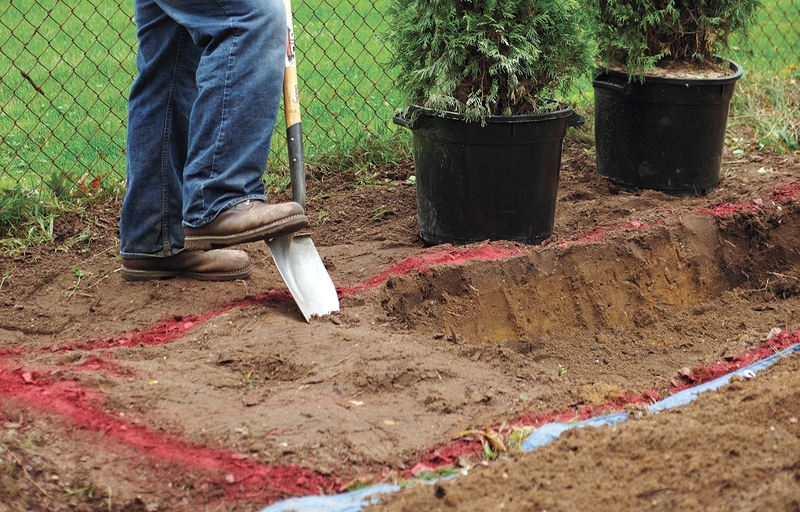 Don’t bury deeply, and if your ground is poorly-drained, raise it up an inch or two above ground level. Now push back some soil, and using your foot, firm it down around the roots. Once you have about two-thirds of the soil back, fill the hole to the top with water. While it drains down, move on to the next tree. Once the water has drained away, put back the rest of the soil, firming it gently down. Rack the surface level, and you are done – no need to add more water, although if you want to you can. To finish, mulch over the root balls with an inch or two or organic material, keeping it away from the trunk and foliage. That’s it! 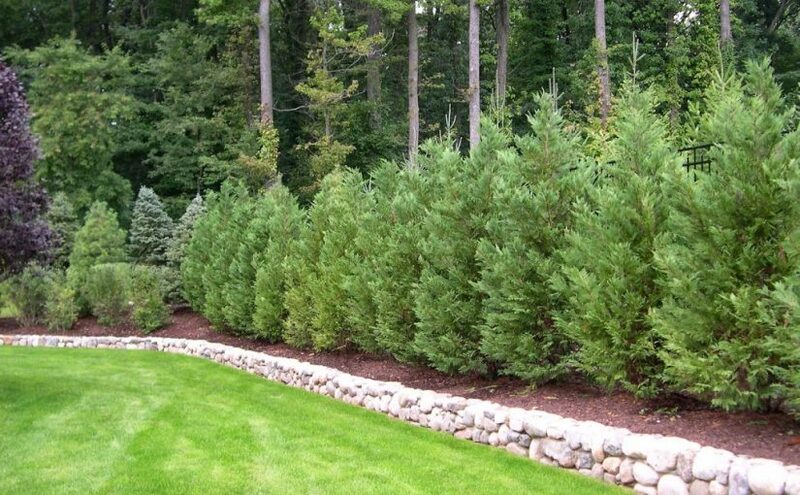 You have given your Thuja Green Giant trees the best possible start for their life in your garden.